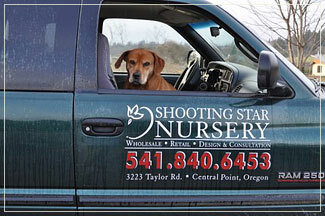 Shooting Star offers truck and trailer delivery of your plants, no matter where they need to go. Whether to Ashland or Rogue River for a delivery of landscape plants or around the corner for one tree, Scott—often with his dog, Ruby—is always happy to provide the service. Or, if you have transportation, the staff will assemble your order and assist with loading your vehicle. We will deliver to anywhere in the Rogue Valley vicinity- including Central Point, Medford, Talent, Phoenix, Ashland, Eagle Point, Shady Cove, and Grants Pass. 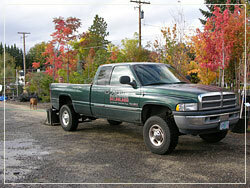 We can deliver to areas beyond the Rogue Valley with advance notice.